Find the perfect invitation that captures your sweet boy's charming personality— then personalize with those exciting party details! Your baby girl is celebrating her first birthday, so find a design that reflects her sweet giggles and personalize it for her fun day! It's party time! 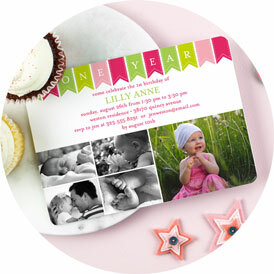 Capture that cute baby face with invitations that feature treasured moments from your child's first year. Love this! Actually had a friend use this and liked it so much, I ordered them for my son's first birthday party as thank yous. Great layouts and color schemes. I absolutely love love our birthday magnets. I was able to customize them for our daughter's first birthday. Our friends and family love them and they are unique. I also did our save the dates with magnetstreet, so I knew they would be excellent quality. when i got the magnet invites i was totally amazed!!! it was really perfect for my daughter's 1st birthday! i got so many compliments & they said it's very unique because it's magnet. very affordable too! Wow, that went fast... your sweet baby is turning 1! Celebrate this awesome milestone with a First Birthday Invitation that is as precious as your child's first year has been. Share your favorite memories from this last year, alongside the fun party details. 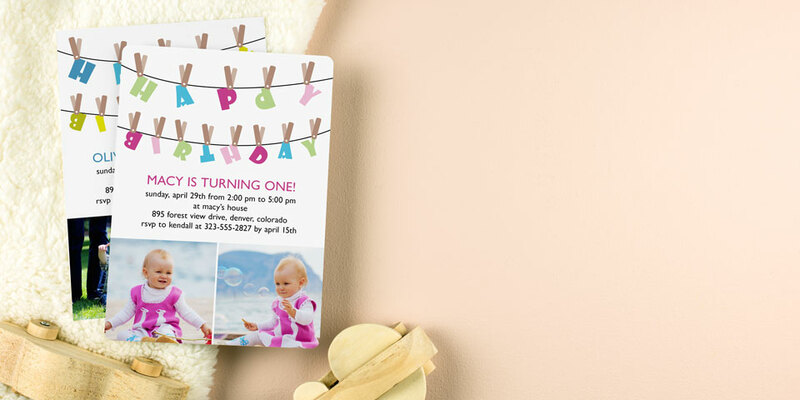 Our 1st birthday invites showcase your little one and feature playful styles that capture what the last year has been all about. 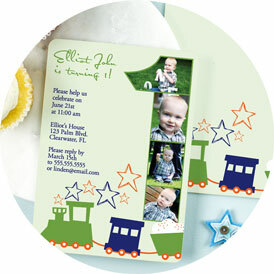 Select a magnetic or paper design you love and create an invite that matches your little one's budding personality! Delight guests with First Birthday Invitations that set the scene for your best party yet with your favorite colors, fonts, and first year photos. Remember these are more than just birthday invitations for friends and family; they're keepsakes that everyone is sure to treasure forever.